Hi, i'm Evelien, how nice of you to visit my page! Here's a little bit about myself.. I'm raised in a Christian family and had a really good childhood. I always attendant sports, swimming and horseback ridding where my favorite. When i was 18, i wanted to try out the gym, there i met this lovely guy and we started training together, he would soon become my husband ;-) We got married and i got pregnant and we become parent of a beautiful daughter Anna-Sophie in November 2010. Soon after giving birth we started planning for our first contest, it was more planning than before, but we did fine, parenthood, both a busy job (my husband work as IT manager and I’m client adviser at the bank) and training. We take pride in the fact we manage our life the way it is. Our daughter comes first, then work and after that our hobby, bodybuilding. During the preparation my husband got very sick, at first we didn't know what it was, but it turn out to be crown disease, so he pulled back for competition and starting taking it a bit slow, so he can maintain his health, but also take care of Anna-Sophie and me. He started coaching me and even others. May 2012 my first competition ever, i was so nervous, but all the plans come together perfect and i won my first competition in the bodybuilding, then i got invited to the European Championships in Romania. There I attendant the Athletic class and I got 6 place. I really got the feel for competition, and I wanted more, we started making new plans. 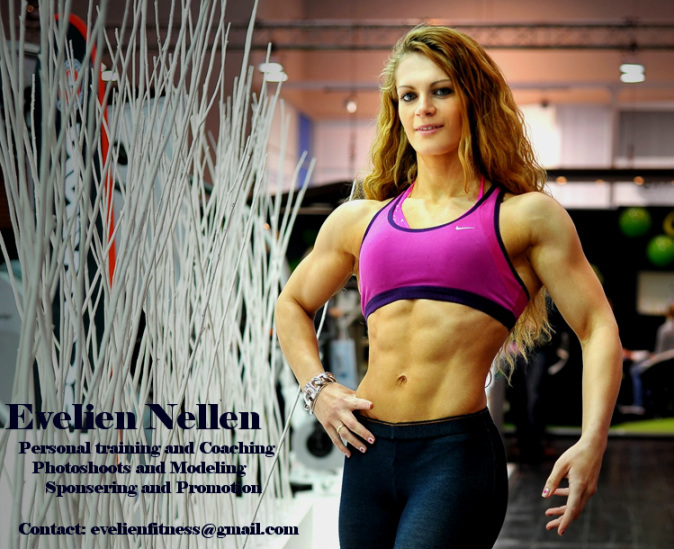 Plans to try to become a professional women’s physique competitor in America. At the end of 2012 I attendant the FlexCup to get a IFBB status, I won the bodybuilding class. A week later the first Dutch women’s physique class was introduced at the Iron man/Iron Maiden, and I won!